On Wednesday night, the small town of Jenkintown, PA, just on the outskirts of Philadelphia, residents have begun reporting strange sightings. What you ask? Why red balloons and paper sailboats. Balloons were spotted tied to several storm drains, traffic signs, and even a port-a-potty. Luckily no one who approached the balloons spotted Pennywise (or any other beings for that matter). 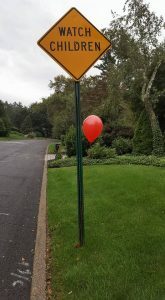 A red balloon tied to a street sign in Jenkintown. 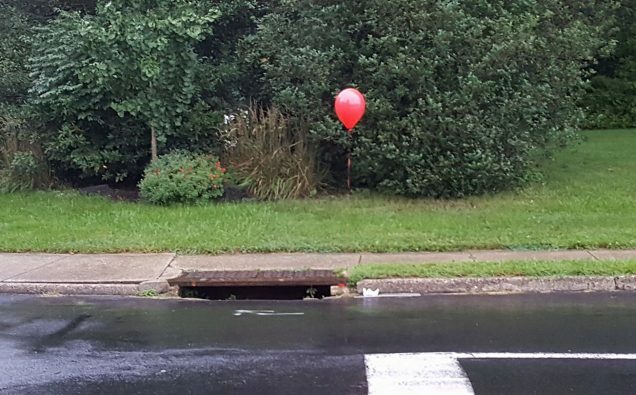 Can you imagine walking down the street and you see a balloon floating above one of the storm drains? I know I’d be doing something, but it probably wouldn’t be floating. It would be running, as fast as I can, in the same direction of the way I jut came. I have come up with only 3 scenarios for the appearance of the balloon. One, Nena has an upcoming show in Philadelphia and this is some form of promotion for them. Two, the balloons are promotions for the new IT movie that releases tomorrow. Three, it was just a fan of the movie wanting to have a little fun. I’m going to go with it being number 3. 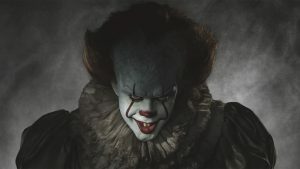 But as long as it isn’t Pennywise himself putting the balloons there, we can all sleep a little easier tonight.